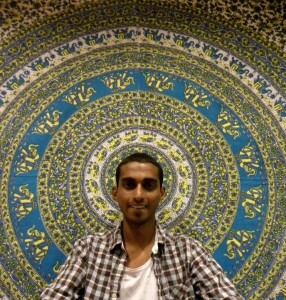 Volunteer of the Month (December): Chirag (CJ) Mahajan! I first noticed CJ as he reviewed music in the lounge for Sarah, our Music Director. I decided I would co-opt his efforts to help coordinate the NCRA’s 25th Anniversary broadcast scheduled for November 14. Ever since, CJ has proven to be the epitome of reliable and organized. He is also very intuitive in terms of the various needs for this special day of programming spanning the entire country. Thank you very much CJ, for taking on such a big task and making CiTR proud! CJ has been an outstanding volunteer in the News Department. His commitment and creativity has had an incredibly positive influence on our programming. He never hesitates to take on new challenges and responsibilities. Whether it is content or organization, CJ is always ready to bring fresh ideas to the table. CJ has become an invaluable part of our department, his efforts truly come through in our shows. For all that you have done with CiTR this year, and will do in the future – thank you CJ from the CiTR Staff + Student Executive.